Many of you are no doubt gearing up for the solar eclipse on August 21, just two weeks from tonight. Rule 1: No matter how much you want to, NEVER, EVER look at the sun without eye protection. Sunglasses, whether they are polarized or not, are not enough to save your eyes. The ultraviolet radiation, even after a few seconds, can literally give your eye a sunburn, known as photokeratitis. You can also risk retinopathy, which can permanently damage your eyes. Yes, you can potentially go blind. Rule 2: So how can you see the eclipse? 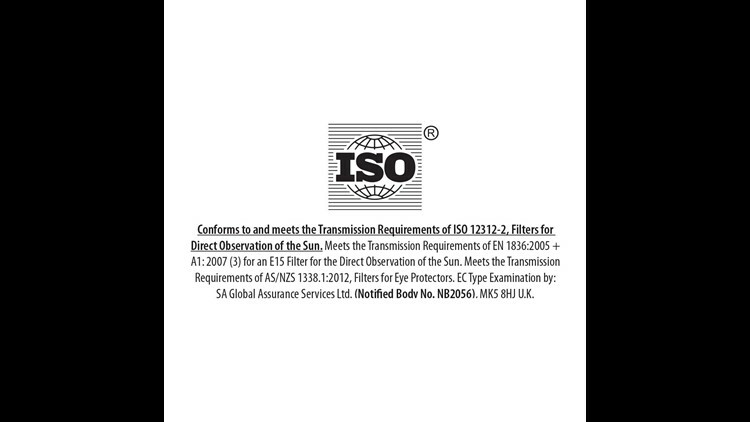 Use special purpose solar filters like these. 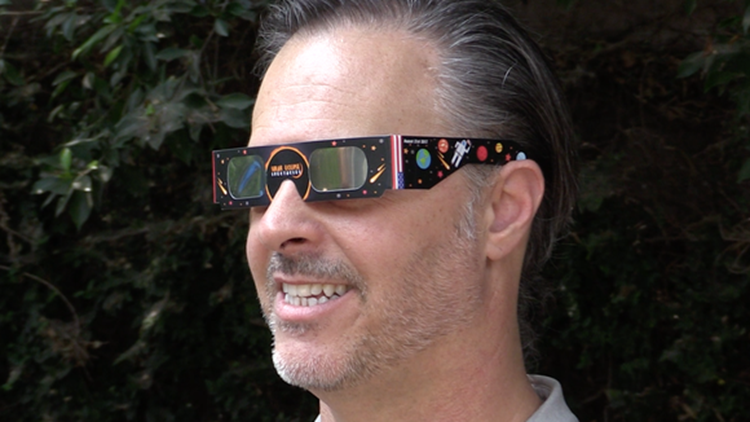 Astro-photographer Brian Valente sports filtered glasses for the summer eclipse. The ones I used came from the Cleveland Public Library. Sadly, they are all out, but you can buy them at retailers ranging from Walmart to Amazon. Plus make sure there's no damage or light filtering through the lens. When you look through them, they appear black, but you can see the sun. Just a note, the solar filters expire in three years, so you won't be using them for the 2024 eclipse. Remember, astronauts use protective gear...you should too!